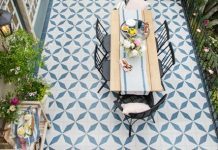 Cement Tile works as well outside as it does indoors. 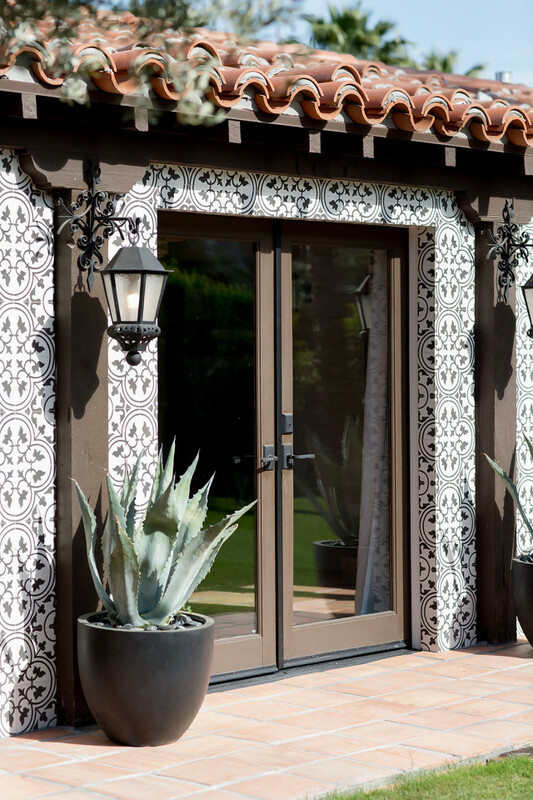 The beauty of cement tile is its ability to work as well outside as it does indoors. 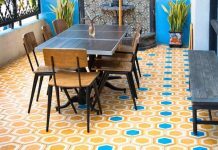 All over Latin America, Europe and North Africa, cement tile has proven its worth, durability and strength against the elements. Here, for instance, in this house tour found on My Domaine, we find Cluny cement tiles in black and white outlining an exterior doorway. By the same token, they also work well as patio tile, terrace tile or porch tile. Furthermore, they’ll retain their vivid beauty for years to come. When you think of concrete tile, think outside the house. Granada Tile’s encaustic tile is long lasting, easy care and low maintenance. Visit our cement tile shop to peruse our large selection of in-stock handmade master-crafted cement tiles. The Cluny concrete tile is in stock and ready to ship out to you today. Check out our interactive catalogue. We’ve got over 40 colors and 400 designs for you to choose from. 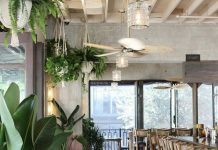 Or, call us at 213-788-4238 to discuss which of our encaustic tile designs would be perfect for your home or restaurant project. Let us help you find the cement tile design that best reflects you! We’re sure you’ll fall in love before the grout dries!